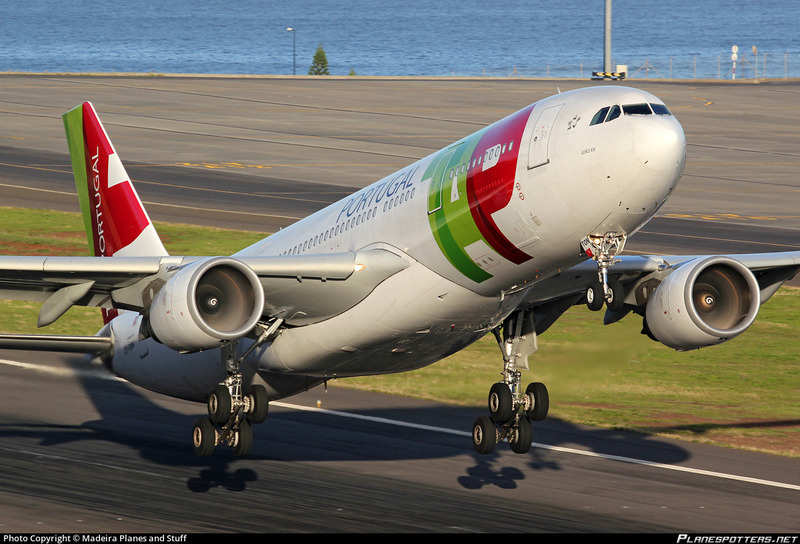 The Portugal News online reports that Portugal’s national airline, TAP, saw passenger numbers increase by 10.4% in 2018 . In total the airline carried 15.8 million passengers, representing 1.5 million or 10.4% more than in 2017. European routes contributed most to the increase in the passenger total, up 932,000 passengers or 10.7% from 2017, TAP said in a statement. On flights between Lisbon, Porto and Faro, TAP transported 1.1 million passengers last year, up 9.4 percent compared to the previous year. Flights between mainland Portugal on the one hand and the Azores and Madeira on the other, according to the carrier, were those that showed the highest relative growth, at 13.5%, with 1.3 million passengers transported, up 156,000 on the year. TAP’s African routes carried 116,000 or 11.2% more passengers than in 2017, at 1.1 million. In North America, the airline is growing operations significantly this year, adding a service to Lisbon from Chicago O’Hare, San Francisco, and Washington-Dulles, starting 1 June, 10 and 16, respectively. Also, the airline is adding a new service from Porto to Brussels, Lyon and Munich which means US travellers can now enjoy a stopover of up to five days in Porto, en route to 14 European destinations from Newark. The new flights from Newark will operate every day except Tuesday aboard TAP’s new Airbus A321 Long Range fleet, one of the world’s most modern aircraft, offering the most advanced levels of comfort, efficiency and technology. TAP has 14 A321 Long Range jets on order, part of a larger 71 aircraft order which also includes 21 A330neos, 17 A321neos and 19 A320neos. All 71 jets will be received by 2025, 37 of them by the end of 2019. “While most travellers to Portugal fly through Lisbon, our nonstop service between Newark and Porto has always been very popular — and we’re excited to be able to add four more weekly flights on the route with our new aircraft,” said David Neeleman, founder of JetBlue Airways and a major shareholder in TAP. TAP introduced the Portugal Stopover program in 2016 for travellers flying throughout Europe and Africa. Now they can break the trip and enjoy two destinations for the price of one, for no extra airfare. The Portugal Stopover comprises a network of more than 150 partners who provide exclusive offers for Stopover customers for hotels discounts and complimentary experiences such as free entry to museums, dolphin watching in the River Sado and food tastings – even a free bottle of Portuguese wine in participating restaurants. Meanwhile, Neeleman said this week that a series of measures brought in to improve punctuality are working. The CEO said the airline’s punctuality improved by 22 percent between June and December 2018. He added that during the last two months of last year no flights were cancelled due to a lack of cabin crew after 1,000 new employees were recruited last year. After returning to the UK yesterday and spending most of last night awake wondering whether the roof of the house would stay on and windows cave in, as we were battered by 50 knot winds and “shot blasted” by torrential rain – I was prompted by this post to look at flights back on Monday lol !! Given this weeks news of budget airlines struggling and the contents of this story, makes you wonder who’s pricing structure is working !! Pity they stopped flights between the UK & Madeira. We’ve flown with the from Heathrow and Gatwick over the years and never had any misgivings.